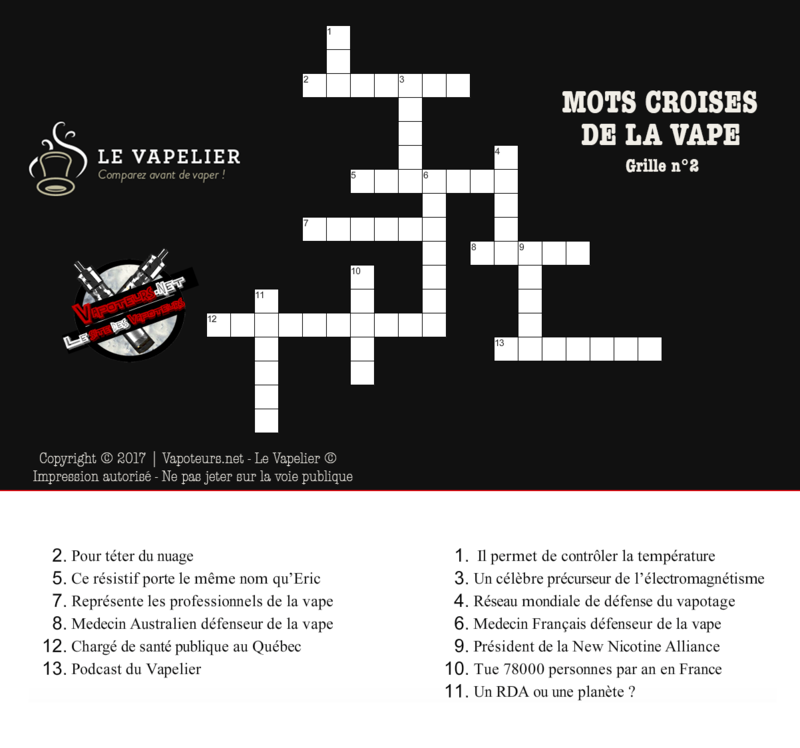 DOSSIER: Crosswords of the vape for the month of August! It's soon the holidays for a part of you and writing, we do not want to let you go without giving you a little surprise. 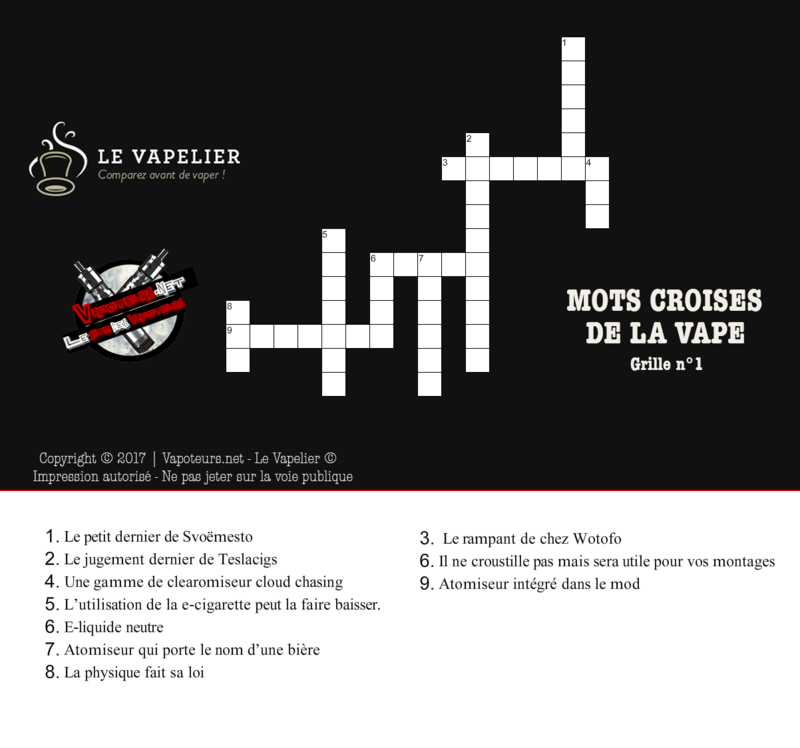 So we've crafted crosswords and mixed words of the vape to occupy your free time during these two summer months. WORDS CROSSED AND MIXED OF THE VAPE: SMALL GAMES FOR YOUR HOLIDAY! 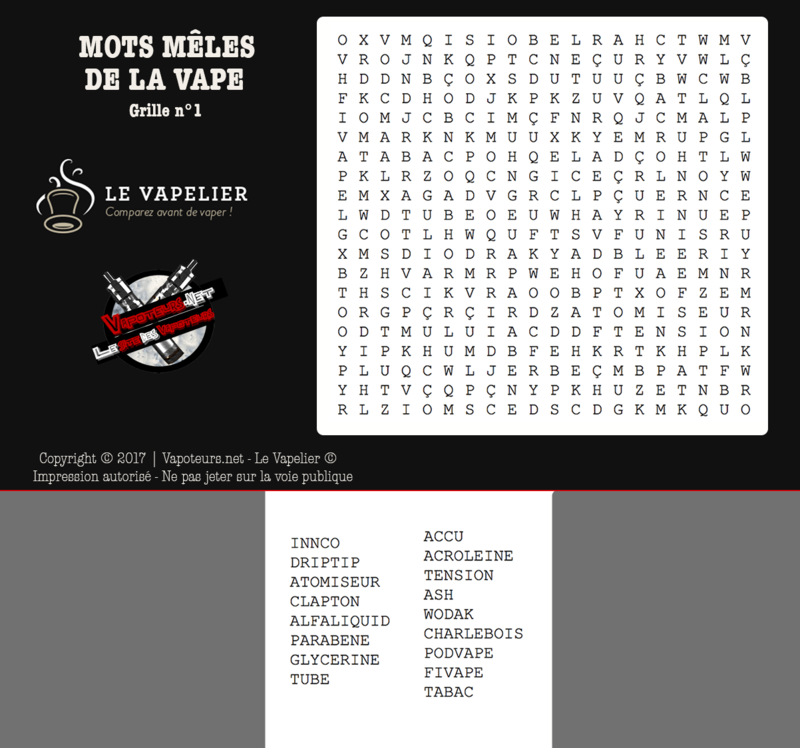 Today, we are pleased to offer for the very first time small games of the vape to do during your holidays. 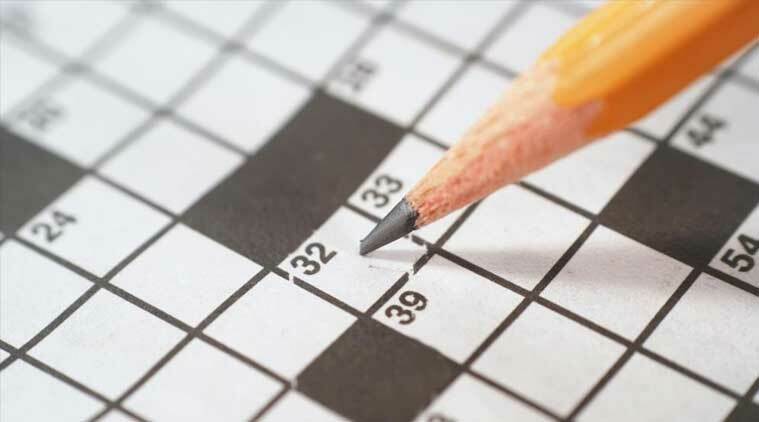 The editors have therefore decided to make available to you two crossword grids and two grids of mixed words. In order to be able to fill these small games, we propose the grids in PDF on two pages which you will be able to print as you wish. Incidentally, we invite the shops to print and offer them to their customers for the holidays. (Grids are available free of charge and can not be sold). The results of the two August grids will be released here at the end of the month. Will you fill them before the end of your vacation? This is the small challenge that we propose to you ! Previous: UNITED STATES: Bill to ban e-cigarettes in New York State schools passed. Following : VAP'BREVES: The news of Thursday 27 July 2017.